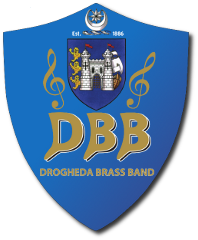 Stephen Murray has been named as the new Director of the Drogheda Brass Band’s School of Music. Stephen will act as the Director on an interim basis following former Director Barry Maher’s decision to resign due to work commitments. The band would like to thank Barry for his contribution to the development of the School of Music over the last 5 years and look forward to its continuing development under the stewardship of the excellent Stephen Murray.